It’s an experiment that will, or won’t, prove itself over time. And the testing begins in Trinidad, the boom-and-bust, former mining city in southeast Colorado. Space to Create’s pilot effort broke ground this month and will transform an entire block on Main Street downtown into a 103,000-square-foot complex with 13 rental apartments and 20,000 square feet of community space. A second, 35,0000-square-foot building will go up on nearby Elm Street with another 28 live/work apartments. In all, that will bring 41 rental units — all at below-market rates and all occupied by creatives — to the heart of the city. 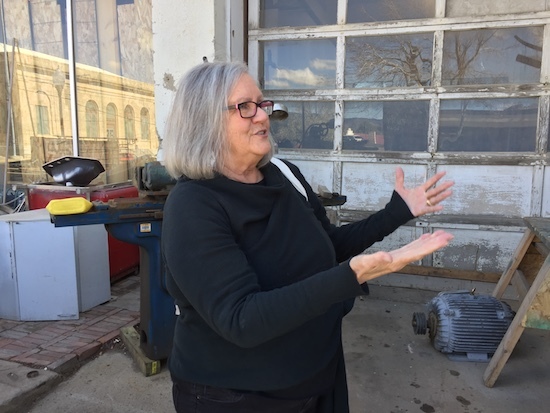 “This is probably bigger than any project that has been done in Trinidad for a long time,”Marilyn Leuszler, an artist, arts activist and one of the forces behind the Trinidad Creative District, which is helping to drive the project. Space to Create has the backing of three state agencies, the Division of Local Affairs, History Colorado and the Office of Economic Development’s Colorado Creative Industries. The Denver-based Boettcher Foundation is providing seed money. Those partners team with Artspace, a Minneapolis-based nonprofit developer that has created numerous affordable housing projects for artists across the country. One opened in Loveland in 2015. But the Trinidad project is being driven locally, by the citizens of Trinidad who see it as way to make a city that has suffered more than century of economic ups and downs, more stable. Trinidad has definitely seen bad times, even recently, but there’s a sense that better times are on the way. The Space Create project is a driving force. 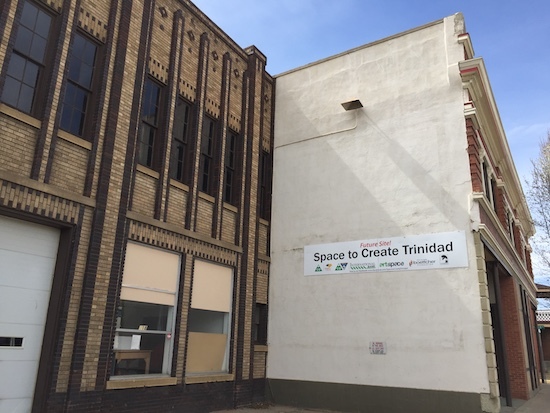 “Two years ago you probably would have thought Trinidad was going down the tubes,” said Mayor Phil Rico, who describes the Space to Create project as “a momet” in the city’s history. Trinidad’s history has been propelled a series of speculative movements that have come and gone, leaving behind its best asset, downtown streets lined with beautiful and ornate Victorian storefronts and residences that have been surprisingly well-preserved. To newcomers, it can look like a movie set from an old Western film, almost too good to be true. In some ways, it is. The city’s infrastructure has evolved to accommodate more citizens that it currently has. “At one time, there were 40,000 people here, we are at about 8,700 now,” said Leuszler. Artist John Raggio is riding a wave of an arts resurgence in Trinidad. 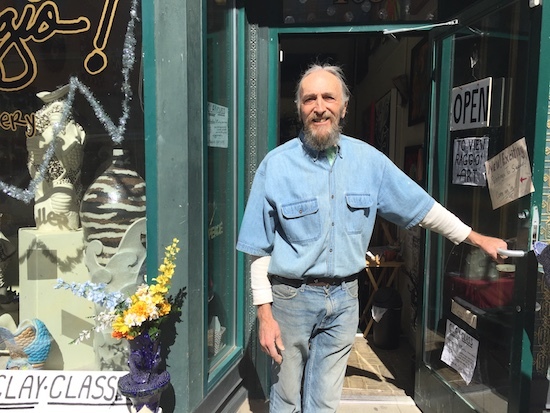 He open his gallery, One Raggio!, on Commercial Street in 2017. Trinidad is in a relatively remote location, even in the vast West of the United States — about a 13 miles north of the New Mexico border and 85 miles south of what you might call the nearest big city, Pueblo. Farms, ranches and plenty of open space surround it on every side. The city has benefitted from being on important transportation routes, stretching back to the Santa Fe trail. It sits on one of the first east-west railroad corridors in the country and Interstate 25 runs right through it. Like many Colorado places, it was born from coal mining. The city incorporated in 1862 soon after the first valuable minerals were discovered. Speculators arrived in droves and an industry was sparked. Thousands of buildings went up, many with the refined masonry, elaborate cornices and bay windows that were fashionable at the time. The city drew national interest; there was Rockefeller money there there, and a Carnegie Library. was reportedly performing hundreds of gender-reassignment surgeries there a year. Lately though, Trinidad has been experiencing a resurgence, and once again via own-of-town speculators who are taking advantage of its strategic location. Colorado legalized the sale of cannabis in 2012, and Trinidad is the closest commercial center to states like Oklahoma, Texas and Kansas where marijuana remains off-limits. Several cannabis dispensaries have popped up close to the the main highway in the past few years, filling abandoned storefronts, fixing up buildings and adding more than $4 million in sales tax revenues annually to the city’s coffers. Long-overdue repairs to streets and sewers are now getting done. Colorado’s population growth and a healthy regional economy are starting to draw developers who see the existing architecture as new sort of mine whose wealth is ready for extraction. A partnership headed by Southern Colorado businessman Jay Cimino has several projects in the works. Recently, legendary developer Dana Crawford, an industry leader best-known for her preservation-friendly projects in Denver’s historic downtown, has embarked on a project there and that could potentially draw others. The recent changes have been good for the city. The number of real estate transactions increased from 147 in 2013 to 325 in 2016 while lodging tax revenue spiked. Camilla Campbell watches the changes in Trinidad through the large from window of her busy shop,Curly's Bead Emporium. In just one year, from 2015 to 2016 — the year Space to Create was announced — building permits rose 58 percent and downtown occupancy rates increased 29 percent. There have been downward ticks in both unemployment and crime. Slowly residents say, they are seeing new faces around town as a trickle of transplants relocates to the city. 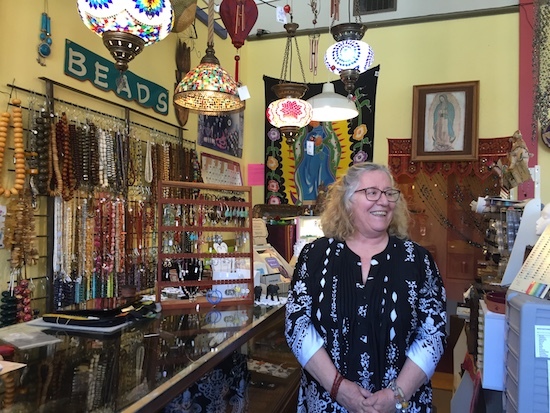 “Being on Main street, you talk to people and you hear them say ‘I’m new here’ or ‘I’ve only been here a year,’” said Camilla Campbell, who has watched the changes through the storefront window of Curly’s Bead Emporium, her eclectic shop across the street from the Space to Create Project. There’s a sense of cautious optimism in the city, but also one of possibility, and Trinidad, with its history of things that come and go, wants capitalize on the momentum with economic generators that will exist long after the pot shops close up. Many believe Space to Create, which promises long-term housing opportunities for creatives, is the answer. The state agencies who supported Trinidad as the pilot project, agree. “We felt that it would be transformative and catalytic for turning that community around,” said Colorado Creative Industries Executive Director Margaret Hunt. CCI certified Trinidad as one of the state’s official Creative Districts in 2013 and took the lead in vetting the city for its role in Space to Create. Space to Create will bring 42 affordable apartments for painters, poets, chefs and brewers to Trinidad. It broke ground this month. The city met all of the basic requirements: historic properties that were ripe for preservation, enough creatives to build a dynamic community, strong, local arts leadership and financial commitments from the local government. “Trinidad's commitment is obvious,” said Leuszler. Space to Create Trinidad was supposed to be much smaller, somewhere around 10 units with a budget less than half the $18 million now projected. But it grew organically — with the Trinidad Creative District speaking for the needs of artists and building grassroots momentum; with the business community jumping on board; with some on-the-ground research showing the potential of attainable housing. Could the stable presence of creatives draw tourists? Help to develop small businesses that would hire workers and assist in preserving all that architecture? Maybe so. “When we were able to start putting numbers alongside our advocacy for the arts in general, thats when we got businesses listening to us, that’s when we got city council paying attention,” said Leuszler. The project also got a boost when the actual site downtown was identified: three once-vibrant buildings that had long been shuttered. The city acquired the Franch Building, at 200 W. Main St., through a donation from its owner, International Bank, and then purchased the adjoining Toller and Aiello buildings on its own (receiving a nine percent housing tax credit from the Colorado Housing and Finance Authority along the way). The buildings were a bit worse for wear, and prime examples of the kinds of dreams that can get shattered in a city with a roller coaster economy. One of them housed a closed Pano’s Pawn Shop, another the former Gordito’s Mexican Cafe. Long-time Trinidad resident Steve Bolton says of Space to Create, "Combined with all the other things we are trying to do, I don't see how it could miss." But it was easy to see the potential. The buildings have that Trinidad charm — precision masonry, elaborate facades and roof lines. And they were located on one of the most prominent commercial strips of Trinidad, where locals shop and visitors pass through looking for a bite to eat on drives between the Front Range and New Mexico tourist destinations, such as Santa Fe and Taos. Current plans — and they will evolve — call for the city to maintain ownership of the center building and create a multi-use community space. It could house a theater or a small museum, a shared kitchen or meetings rooms. Artspace will own and operate the buildings on either side, serving as the landlord for the creatives and any support amenities that are ultimately built-in, such as galleries, maker facilities or retail space. Either way, the historic integrity of the structures will be preserved, easing fears that a developer will arrive with a wrecking ball and build something new from the ground up. Along with the benefits of an economic comeback, are the potential pitfalls. The downside to all those development dollars artists bring is gentrification; the stories of SoHo and RiNo don’t necessarily have happy endings. Neighborhoods can get pricey fast; too expensive for residents with modest incomes, they lose diversity and just as many creatives as they gain. Trinidad has a long way to go before that happens. For now, those spectators are banking on hope and intuition, not skyrocketing real estate prices. “Things are being bought up, you bet. But people aren’t trying to make that million dollars quite yet because they don’t know which way Trinidad is going,” said Campbell. 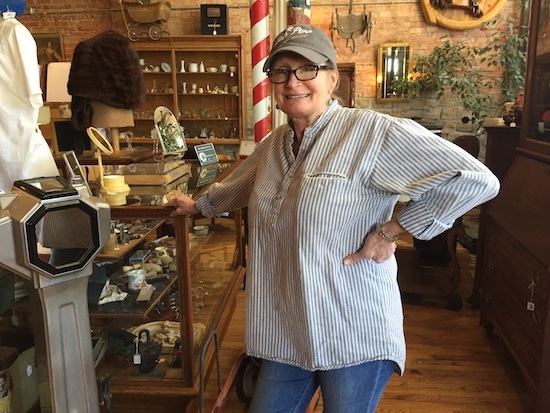 Carol Bolton, owner of Coin Dancer Antiques, says that recent tax revenue increases are allowing the city to work in infrastructure problems "that have been ignored for years." Space to Create backers hope the project itself can serve as an example to future investors in the city that building below-market housing can still be profitable and good for a region in the long run. And frankly, some of that would be good for the city. The property owners who invested in Trinidad over the last decade — before Trinidad was on the rise — would win the bets they made on a city they backed when few others would. The shop owners would prosper, employment opportunities would expand. Neither boom nor bust. Just moving ahead. “There are so many of us who could see the potential here. 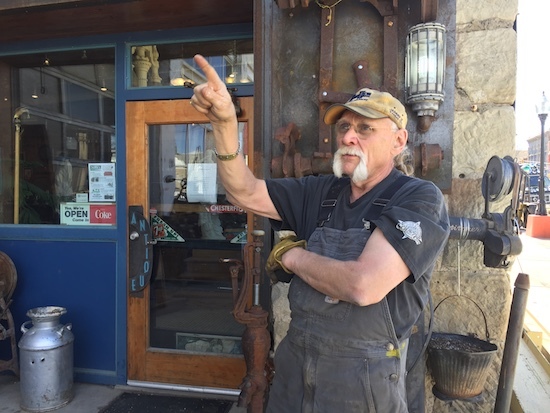 And it’s taken so long for that potential to come into being,” said Carol Bolton, whose been involved in civic initiatives for many years and now owns Coin Dancer Antiques, located just down the Street from the Future Space to Create. This story is part of a series focusing on Space to Create and underwritten by Colorado Creative Industries.